How clean and healthy is the air you are breathing? Are you risking the health of your family, friends, staff, or customers? When was your air-conditioning unit last cleaned? Many people are unaware that the air conditioner in their home or workplace is the ideal environment for build up of mould spores, bacteria, dead skin cells, and other contaminants. Not to mention an extremely efficient way to to disperse these allergens around your living or working areas ! 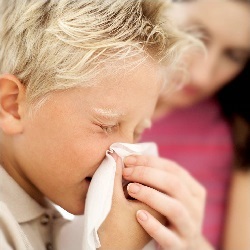 With cases of asthma and a range of other allergies on the rise, doesn't it make sense to ensure your air conditioner has been professionally cleaned and sanitized by Sunshine Coast AirCon Cleaning. Of course the added bonus of a clean, efficient air conditioner is the savings on energy costs, which can be up to 30 per cent. Add to that the costs involved in motor burnout and maintenance due to overwork caused by clogging. And because our cleaning method also removes the salt deposits prevalent in coastal areas like the Sunshine Coast, the life of your air conditioner will be increased. Our aim is to provide a value for money, prompt, efficient, courteous service with the minimum of upheaval to the customer, whether in your home, office, or place of work. Our technician will be happy to answer any questions you may have, or offer advice you may require, and of course we promise to leave everything clean and tidy! We will also strive to turn up at the agreed time, and in circumstances beyond our control we will call you to keep you informed, as we understand your time is precious. We would also like you to know we are NOT a general cleaning company. The specialized cleaning of your air conditioner is our ONLY business, and our fully trained technicians take a great deal of pride in their work, ensuring each job is done to the highest possible standard. We hope you will judge us on our professionalism, performance and value, and we understand that a recommendation from a satisfied customer is the ultimate compliment. Contact us today and we'll show you how Sunshine Coast AirCon Cleaning can help you breathe cleaner, healthier air, and save you money!